In just two years, between 1784 and 1786, Mozart composed no less than twelve piano concertos – a staggering number. Often described as one of the most light-hearted and buoyant among these is the Concerto in F major K459, sometimes called ‘the second Coronation Concerto’. The nickname comes from the fact that Mozart would later choose to perform it, along with the ‘Coronation Concerto’ in D major, during the festivities surrounding the coronation of Emperor Leopold II in Frankfurt-am-Main in 1790. 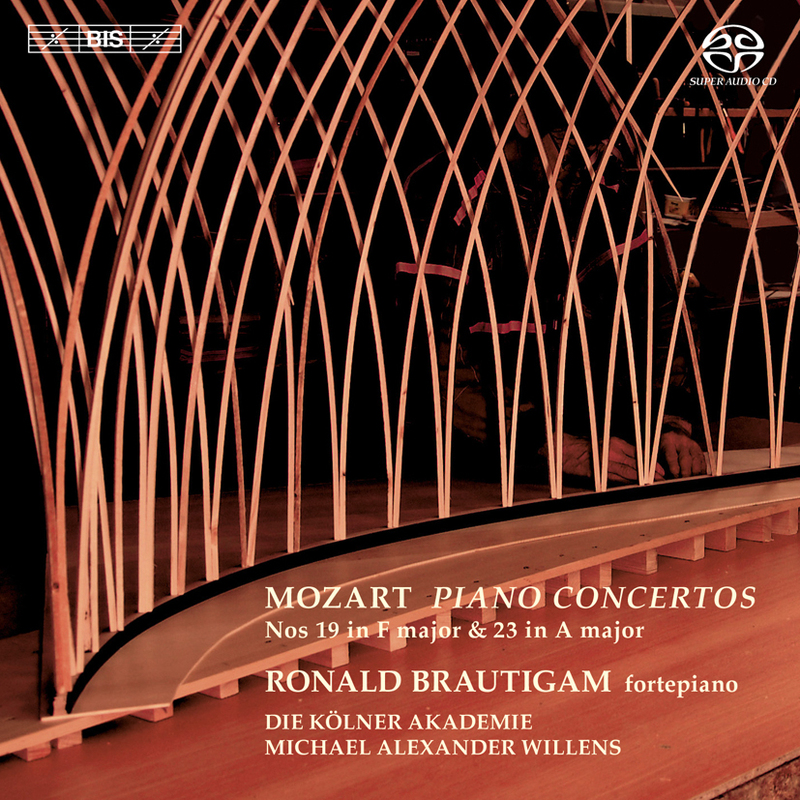 Its companion work on this fourth disc in Ronald Brautigam’s survey hails from the same period: begun in 1784, the Concerto in A major K488 was completed in March 1786, at the same time as Mozart was putting the finishing touches to his opera Le nozze di Figaro. It is one of only three piano concertos in which Mozart uses clarinets in the orchestra, resulting in a very particular sound world, especially in the magical slow movement. Mozart clearly held the work in high regard, and described it as one of his most select compositions ‘which I keep just for myself and an élite circle of music lovers’, and later audiences have agreed with him. 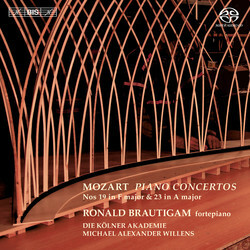 Ronald Brautigam has been described as ‘an absolutely instinctive Mozartian… with melodic playing of consummate beauty’ (International Record Review), and he is once again supported by the period orchestra Die Kölner Akademie conducted by Michael Alexander Willens in a partnership which more than one reviewer has termed ‘ideal’.